We all want interfaces that feel human—where the content is friendly and everything flows right along. But being human isn’t just about being breezy. Every user who interacts with your site comes there with personal histories—with pain and problems, with past traumas or present crises. 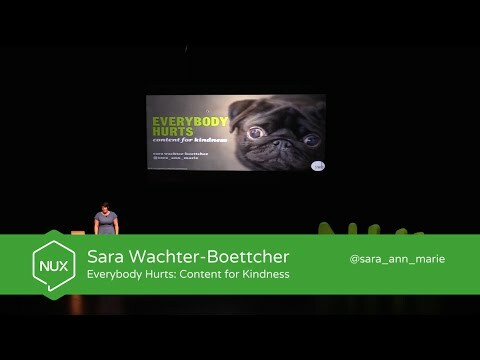 How can we take our users’ vulnerabilities, triggers, and touchy subjects into account when we don’t even know what they are? What would it mean to optimize not just for seamlessness, but for kindness? This talk will show you how clear intentions and compassionate communication can strengthen everything from form questions to headlines to site structures.